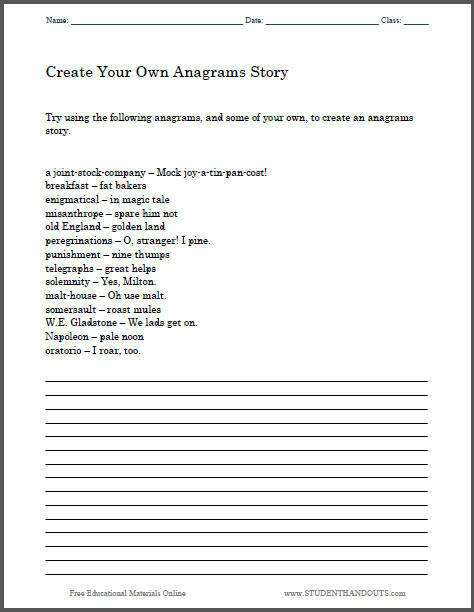 Try using the following anagrams, and some of your own, to create an anagrams story. 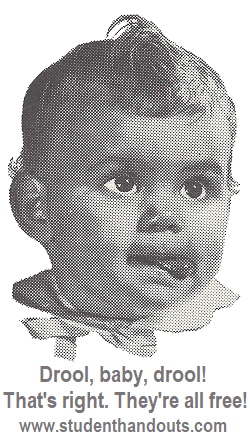 a joint-stock-company – Mock joy-a-tin-pan-cost! peregrinations – O, stranger! I pine. malt-house – Oh use malt. W.E. Gladstone – We lads get on. oratorio – I roar, too.